How to replace our refrigerator water filter ? Our refrigerator water filter can remove a miraculous number of contaminants from our water, it can be a powerful tool that guarantees we have the safest, freshest water possible.The purity of the water we drink is paramount to our health. 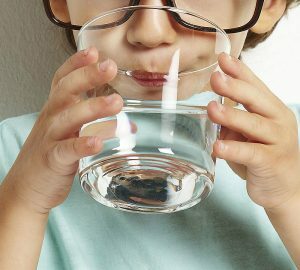 To ensure we have the most purified water is to change our refrigerator water filter every six months or when we notice a change in the taste or smell of our water. It is recommended by most experts and refrigerator water filter manufacturers. Of course, this rule of thumb might vary depending on use. If our family uses a heavier than average amount of water, over time our refrigerator water filter will collect filtered out contaminants that will diminish its effectiveness and the quality of the water, our old refrigerator water filter may actually be growing bacteria and mold. Overall, the most effective way to to tell if you need a filter change is by taste or odor. The type of contaminants reduced by a properly functioning filter will appear more and more as your filter ages. Sooner, if your water is starting to taste a little funny. If your refrigerator’s warning light is on, then it"s time to replace it. Each manufacturer’s refrigerator water filtration system is a bit different though. 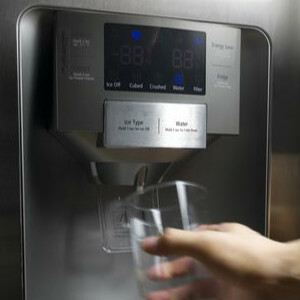 In most cases, changing your refrigerator water filter is fairly simple. Many manufacturers have taken steps to ensure that their filters are easy to access and replace. You should consult your owner’s manual to locate the filter, and follow the directions for removing and replacing it. Let"s take refrigerator water filter as an example, replacement steps are below: Step 1 On models without a replacement indicator light, apply the month sticker to the new cartridge and mark your calendar to remind you to replace the filter after six months. Step 2 Remove old filter cartridge by grasping and turning to the left about 1/2 turn.Step 3 Remove the protective foil from the end of the new filter. Fill the replacement filter with a little water from the tap to allow for better flow immediately after installation.Step 4 Place the top of the new cartridge up inside the cartridge holder. Slowly turn the filter to right until the filter cartridge stops. Do not over tighten. As you turn the cartridge it will automatically raise itself into position. The cartridge will move about 1/2 turn.Step 5 Run water from the dispenser for 6-8 minutes (about 3-4 gallons) to clear the system and prevent sputtering.Step 6 On models with a replacement indicator light, press and hold the RESET WATER FILTER PAD on the dispenser.Caution: Do not use with water that is microbiologically unsafe or unknown quality without adequate disinfection before or after the system.If you have questions about what your water filter is doing for the water in your home, feel free to browse through the Refrigerator Water Filter section of our online store or call us directly at 0086-18526000612.